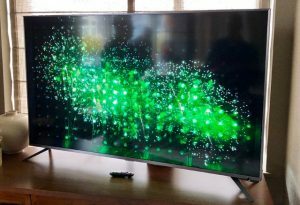 What to look for while buying a 65 inch TV? Buying a TV would leave you with immense choices to choose from. But there are certain things you need to look out for a while upgrading to a new 65 inch TV. Heres it! If you are buying a 65 inch TV, you just need to find the right spot where you can position the TV without any disturbance. Make sure before buying that there is enough room to position the TV. Another factor is the distance between the TV and the viewing distance. Within a general thumb rule, the distance should range between three times the size of the TV. A number of pixels that make up a display are known as the resolution of the screen. With more number of TV’s with 4K resolution and better HD graphics, it is ideal for picking something that has a sharper image and finer display of picture and details. Choose higher resolution TV’s. 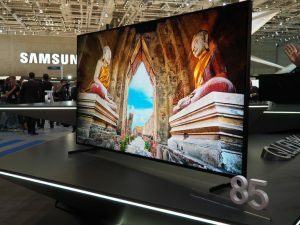 With 8K TV’s being launched this year, its a good idea to wait and get one too. 4K with ultra HD model is dynamic TV models moving well in the markets. 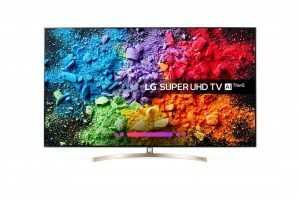 HDR enabled TV’s have higher brightness and realistic image quality and is the best option when you about invest some amount into quality TV product. The refresh rate represents the number of times the picture gets refreshed in the viewing screen for a second. It is usually represented by Hertz. For a dynamic quality image and viewing of visuals, a higher refresh rate specification is always preferred. Some of the products that are best in the market for you to gather an idea. One of the best TV and the only product to be launched in 8K currently. This model redefines the picture quality with around 33 million pixels and the brightest Tv that is ever released. QLED 8K with eccentric specifications and exceptional detailing of images. Also incorporating Quantum HDR, it has an amazing depth of effect for realistic viewing from your 65-inch screen. 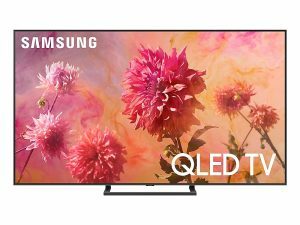 In recent days QLED dominates the market. It is the best of 4K Tv collections available in the market with fantastic specifications. It’s sleek and slim with a reduced number of cables causing lesser clutters. It is slim to make it virtually disappear when hung on a wall. Having futuristic display features, it shows excellent image quality on spectacle. Overall all the features are best from audio to display making it stand out from its rivals. Another best viewership display for an enriching 4K experience. 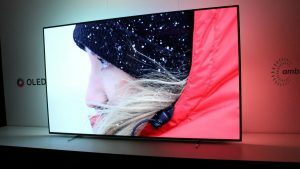 It has sophisticated video processing technology and a brighter OLED display for 65 inches. With better dynamic support range and best sound clarity and quality. The system is amazing and improves the watching experience with Android Oreo support. 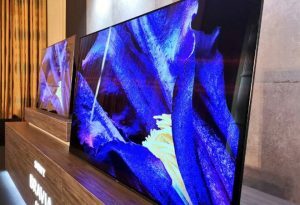 An exclusive alternative to OLED technology is Samsung QLED TV offering 65 inches and 4K screen display. It offers rich color and brightness to display. It offers medical HDR support, but it’s decent. The audio support is strong and offers rich quality speakers. It is also incorporated with innovative smart TV features like any other smart TV available in the market. Incorporating an LCD screen, this TV from LG has excellent sound quality combined with Dolby vision and atmos support for a complete theatrical experience at your home. Moreover, it has a ThinQ AI support along with Google Assistant for a realistic functionality TV. For the display, it has exceptional working HDR display settings and overall gives a great deal for the money paid. This TV is definitely a value for money. Coming with an LCD screen display, it is a premium range of smart TV. It has a stylish display and aesthetics designed superiorly for best viewership from any direction. More than all, there is a striking backlight with 120dimming zones, virtually dimensioning the aesthetics to a different level. It’s a product that is a total worth for your money. It is enhanced to provide an HDR based quality by upgrading features from SDR and does a good job with it. The detailing and starting of colors are wonderful while viewing and has a minimalist appeal with its ultra-thin design of the panel. It has added an Amblit light mode, a feature only resent in Philips models. Provided with a smart interface and Android Oreo, it is one good choice if you are opting for a budget-friendly 65inch TV. 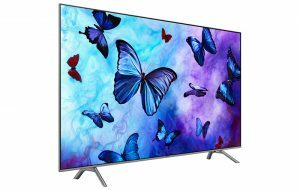 Even though there are varied models, apart from the few points mentioned there are other secondary factors whle picking out the right TV like is it smart enabled, audio and sound quality, price range, warranty offered, contrast ratios and much more. Type of screen whether LCD or LED, the number of HDMI connections offered are also some prime factors to be considered. This buying guide is to help you pick one with the verge of saving money on the right product.